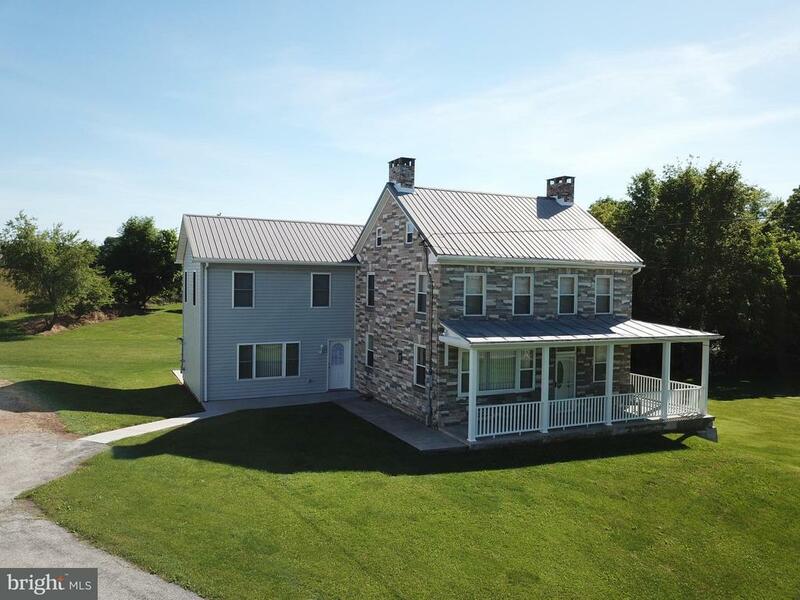 Beautifully renovated and updated 1800s stone farmhouse with second floor master suite and first floor great room addition. New roof just finished in March. 4 total bedrooms and 2 1/2 bathrooms. Inside, the house includes an eat in kitchen as well as a separate dining room and hardwood floors. Large wrap around porch and walk out basement. The home also features replacement windows. Bank barn with lean-to and pasture for all your animals and a detached 4 car garage/shop with attic storage, and heated floor for all your toys! Property is enrolled in Clean & Green and includes approximately 3 acres of woods.